Just because Microsoft has a new console doesn't mean people aren't still playing their 360s. Here are some suggestions for 360 shopping this year. DO consider maybe buying someone a 360 even if they already have a PS3 and/or a Nintendo console, but it is a bit excessive. A person only needs more than one of these consoles if they want games that aren't on the other systems or if they prefer the services that are on that platform. In terms of games, the exclusives worth grabbing a 360 for range from the Halo games and Gears of Wars games to an ever-expanding Xbox-specific version of Minecraft and the various (though, frankly, mostly pretty poor) games made for the original Kinect motion sensor. Of that last batch we'd only heartily recommend Dance Central. The 360 might be relevant if they want to use Xbox Live, which is a very popular multiplayer network for 360 gamers, though you need to ensure you're getting them the $60/year Xbox Live gold. DO consider the 360 for the person who has no consoles, but recognize that the person might prefer the jump to next-gen. There aren't many games for the PS4 or Xbox One, though, and a 360 would give them access to way more stuff to play. 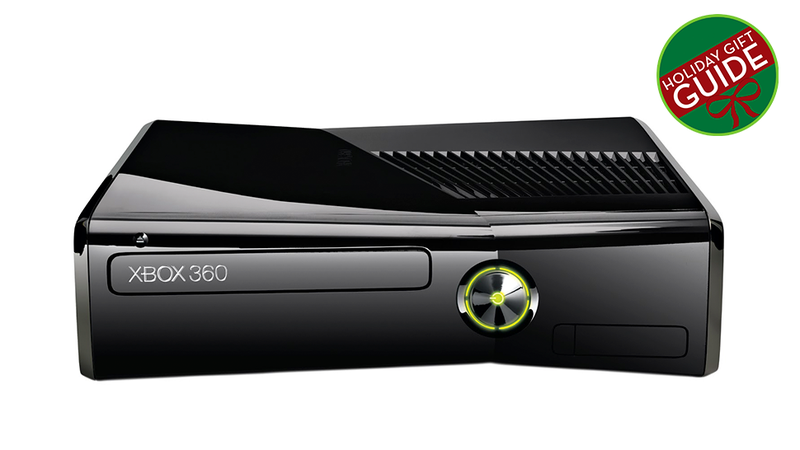 (The Xbox One can't play 360 games, which you probably knew.) Caveats galore: If they like Zelda or Mario, you should get them a Wii U. If they're more of just a straight-up Call of Duty and Madden gamer and don't play much else, you could get them a PS3, 360, PS4 or Xbox One. It's pretty much a wash. If they want to play GTA V, flip a coin between the PS3 and 360. An Xbox 360 would also be a good gift for someone without any consoles but who is waiting to pick one up for themselves when next-gen ripens a bit. It's a good way to tide them over and figure out if they're into the whole Kinect thing or not. DO pick up Halo 4. It may be the first non-Bungie-made Halo, but it lived up to the franchise's name. Probably the most emotional ride through the Halo universe, too. Here are some of our other favorite games for the console. DO buy Grand Theft Auto V for Xbox 360. It provides a near-endless supply of goofy ways to mess around and blow stuff up. DO grab them a subscription to Xbox Live Gold. Amazon usually has some great one-year deals for a fair price. You won't be able to access the Xbox's best online features and multiplayer gaming without the subscription. DO share your HBO and Netflix account information (if you're a subscriber) so they don't have to buy their own. Let's share more ideas in the comments below.